Ideal cosplay prop for Firefly fans. 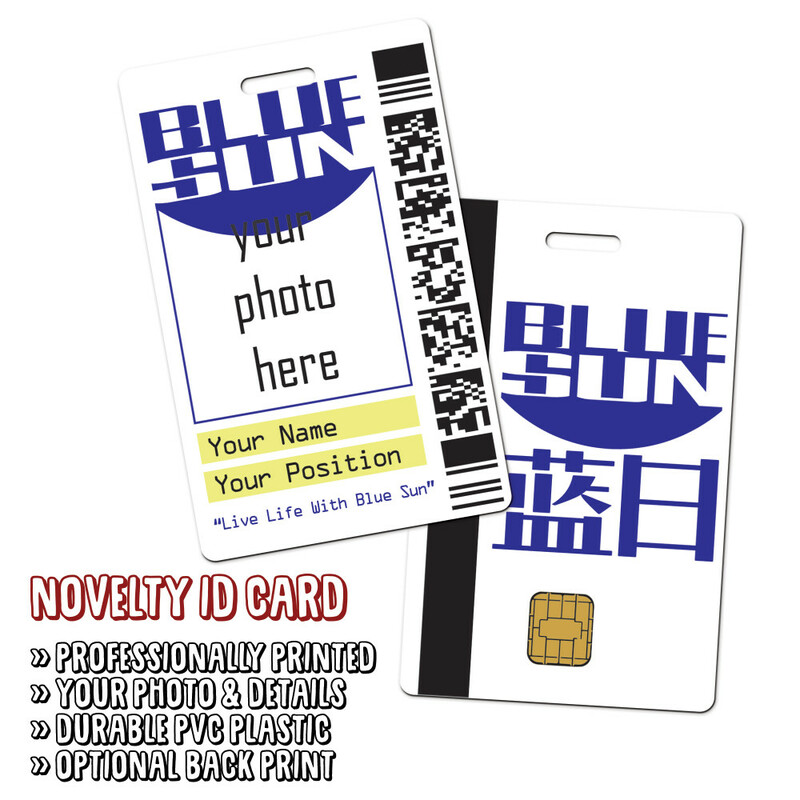 This credit card sized novelty ID card is professionally printed on 3mm plastic so is durable and will look great in your wallet! It'll also look great on a lanyard. It's worth noting, this does not give you any power, isn't official ID and won't give you access to any secret labs. These plastic cards are great presents, and great for people with a sense of humour! Please double check any personalisation fields as we print as-is and can't be held responsable for any errors. Pictures will be cropped to fit the frame, in most cases this will be square, we will aim to get a standard head and shoulders crop, if you want to control the crop on your image please supply a square image. We are unable to accept returns for personalised cards for any reason other than manufacturing faults. Please Note: all images are for illustrative purposes only, colours may vary slightly from what you see on screen.